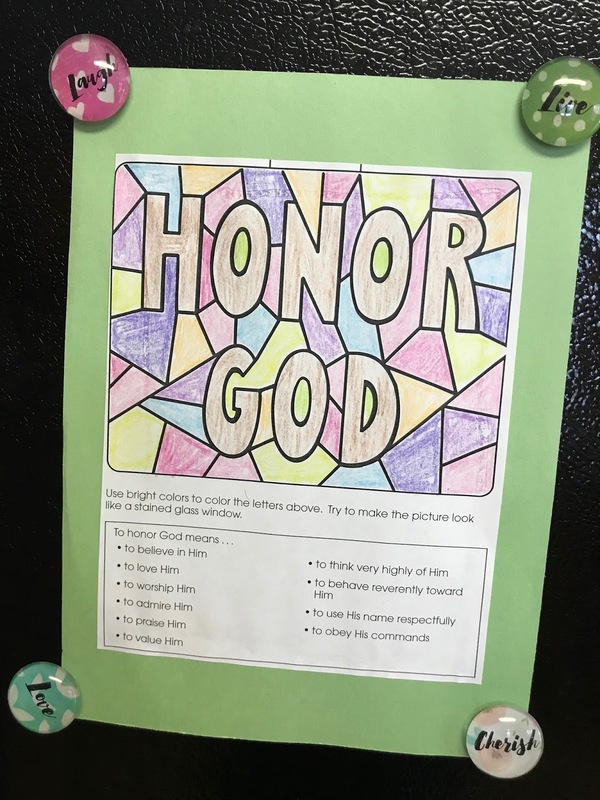 As part of our Sunday School lesson series memorizing the books of the Bible, we spent one morning talking about honoring God. This was the easiest way I could think of to discuss the concepts in Leviticus with 10-, 11- and 12-year olds. 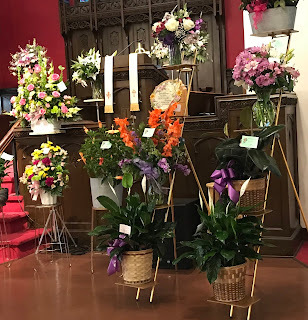 We started out talking about Abraham, Isaac and Jacob from the Genesis lesson we had two weeks before, and then how the 12 sons of Jacob became the 12 tribes of Israel. The family of Levi, the third son, became the priests of the tabernacle. Their job was to see to the spiritual needs of the nation and care for the tabernacle itself, so knowing how to honor God was their sole purpose in life. 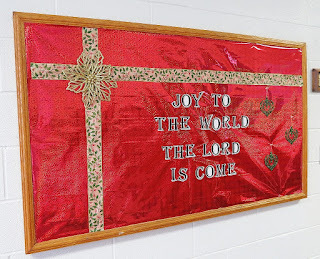 Our Sunday school students picked up on this so fast - it was amazing. So then we had to discuss what honoring God means today. 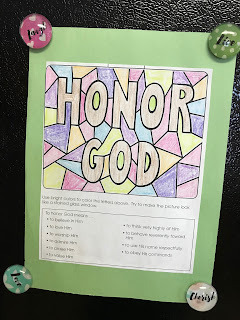 While they turned the black-and-white picture into stained glass with colored pencils, we read the list of definitions for honor and how God wants to be honored. * to believe in Him. * to think very highly of Him. * to behave reverently toward Him. * to obey His commands. We had to define a few of those words, too, but it was very important that we all understood the seriousness of the word honor. It even convicted our hearts as teachers to understand the concept even more and be a better witness of God in front of our students. Please pray with us that our class will continue to grow in both wisdom and in number, and that we will study the lessons and topics the Lord would have us teach. It's amazing how much Danny and I have already learned as we prepare our lessons and our hearts for each week's class.